On the other hand, I do like to cook and throw things together. What could be more fun than combining vegetables and various other ingredients for a stir fry or a new sauce? This free-wheeling creativity of cooking can be daunting for the precision-obsessed bakers – just like the exactitude of baking and strict technique can be intimidating for those who like to cook. Whether in print, online, or on television, America’s Test Kitchen (ATK) and Cook’s Illustrated are synonymous, in my opinion, with rigour in both cooking and baking. Their experimentation, thoroughness, and scientific approach to testing variations, techniques and ingredients ensure fail-safe recipes. Often they are classics, e.g., how to grill shrimp to perfection – the precise times and temperatures are strictly delineated. Their chewy chocolate chip cookie, which is the best I have ever made in this category (and I have an entire book, The Search for the Perfect Chocolate Chip Cookie, from the 1980s, which did not yield one recipe as stellar as ATK’s). 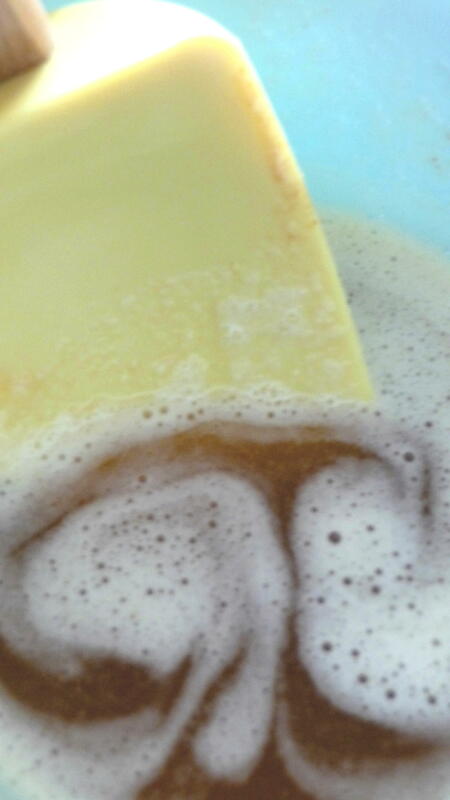 The toasty beurre noisette combines with more butter. One nice surprise from ATK, however, is the occasional smash hit of a new recipe. 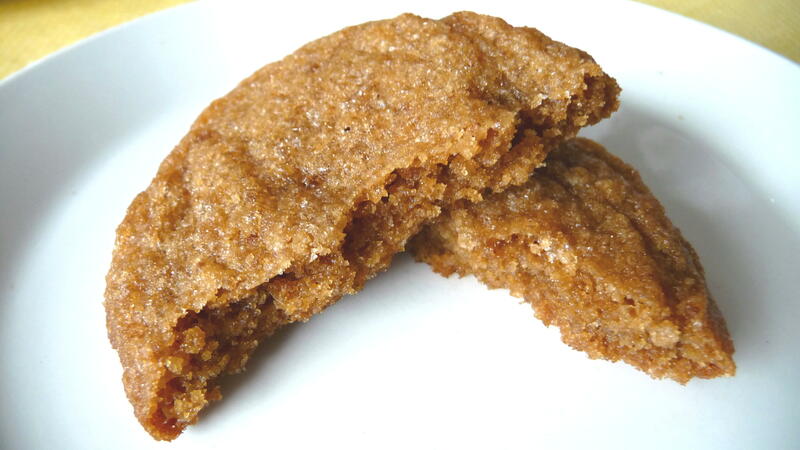 I was intrigued by the Soft and Chewy Brown Sugar Cookie they had featured on PBS a few years ago. This has become a favourite of mine and many friends, as the cookie has a supple chewiness, with a slightly crisp edge, but the depth of flavour is both old-fashioned yet contemporary with the dark brown sugar and beurre noisette or brown butter, if you prefer to de-Frenchify cooking techniques. In this recipe, a first on my blog, I have not modified any of the ingredients, given how memorable the recipe was the first time (though I have thought about dipping them in dark chocolate – just half-way, no need to be gluttonous, now, is there?). So for a casual Friday night dinner over at our friends, A and J, I wanted to bring a not-too-fancy but spectacular dessert. This certainly fills the bill. Soft and chewy, with a bit of a crisp edge - what more can you ask for? This rich batter look almost like brownies. butter into hot butter to melt; set aside for 15 minutes. 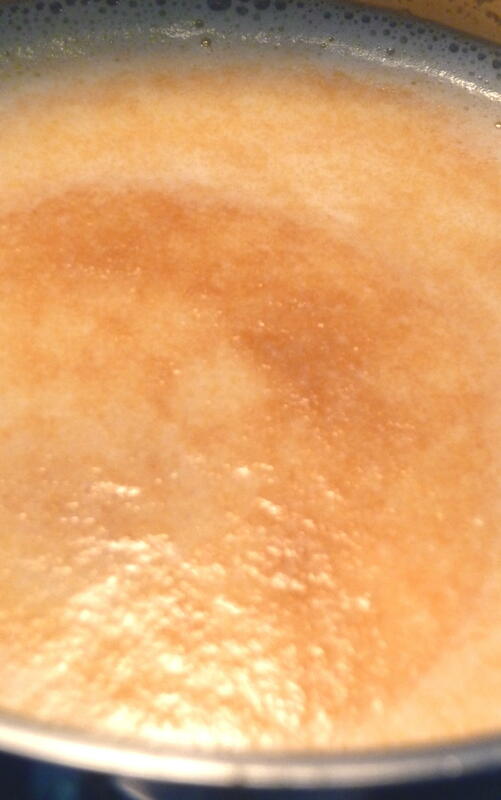 parchment paper or non-stick mat (e.g., Silpat). 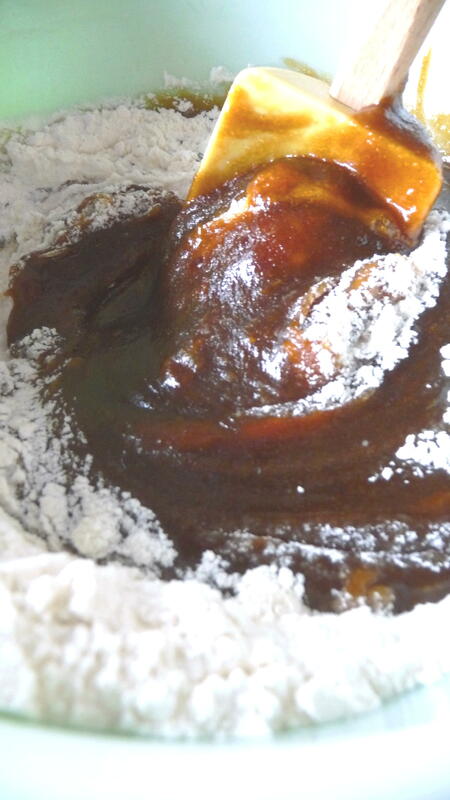 In a bowl, shallow baking dish, or pie plate, mix granulated sugar and 1/4 cup packed brown sugar, rubbing between fingers, until well combined; set aside. Whisk flour, baking soda, and baking powder together in medium bowl; set aside. 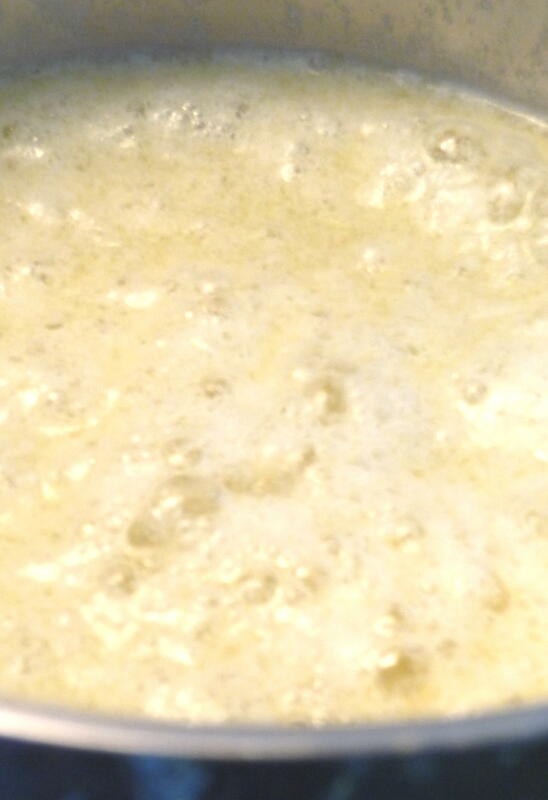 cooled butter; mix until no sugar lumps remain, about 30 seconds. flour pockets remain and ingredients are evenly distributed. rolling between hands into balls about 1 1/2 inches in diameter. Better yet, use a 1 ½ tablespoon ice cream scoop to creat balls of dough. 6. Cool cookies on baking sheet 5 minutes; using wide spatula, transfer cookies to wire rack and cool to room temperature. 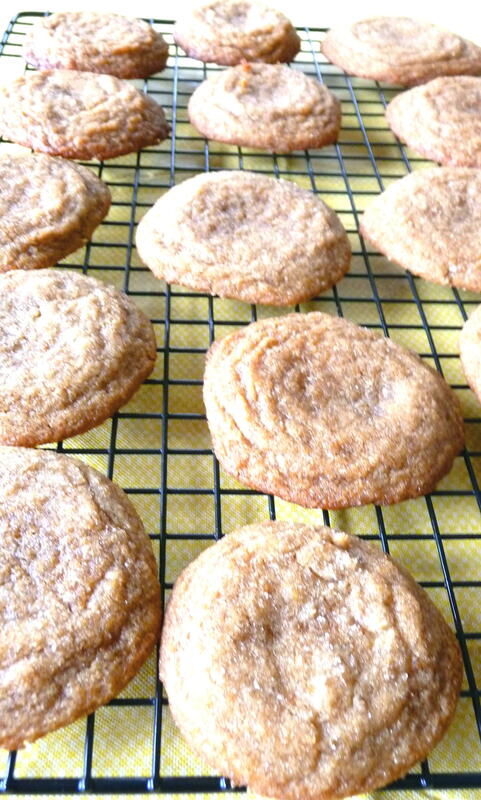 It is hard to resist a rack of cooling brown sugar cookies. 1. Avoid using a nonstick skillet to brown the butter. The dark color of the nonstick coating makes it difficult to gauge when the butter is sufficiently browned. 2. 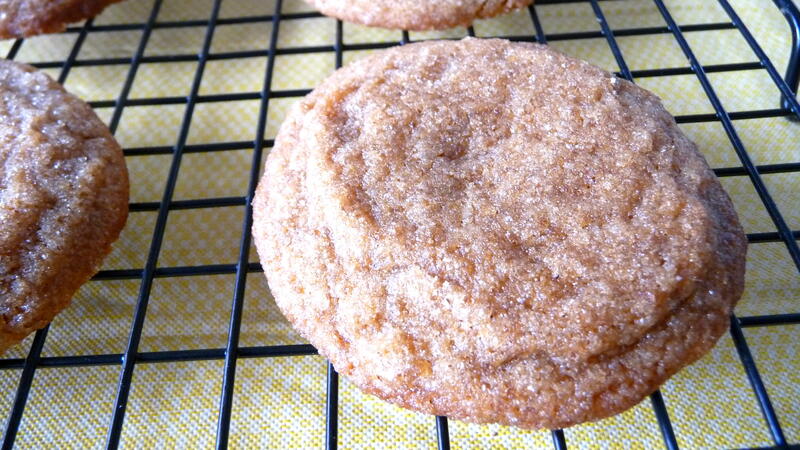 Use fresh brown sugar, as older (that is, the solid as a rock clumpy stuff) brown sugar will make the cookies too dry. Achieving the proper texture—crisp at the edges and chewy in the middle—is critical to this recipe. Because the cookies are so dark, it’s hard to judge doneness by color. Instead, gently press halfway between the edge and center of the cookie. When it’s done, it will form an indent with slight resistance. Check early and err on the side of underdone. Really, it is better to be half-baked than over-baked, in this case. This entry was posted in Cookies, Dessert, Recipes Misc and tagged Brown Butter, Brown Sugar, Chewy, Cookie, Recipe. Bookmark the permalink. Thanks, Cookie. You’re so right about all of ATK’s cookies; I like the CC cookies they do, too. I appreciate your stopping by! Oh, these are perfect for a dinner I am having on Sunday! I’ve recently become pretty curious about brown butter and I think this will be the perfect recipe. I think I might add a touch of cinnamon for a little kick. These are my type of cookies-soft and chewy. I love the flavor of beurre noisette. I would love to try this with muscovado sugar. They’re quite cheap and abundant over here. I bake mostly during the months of December and January since they’re the coolest months. I will attempt this with muscovado sugar when the cooler months come along. Thanks for sharing! Hi, KM. Thanks for your comment and for taking the time to visit. I had lived in Vanuatu, where (below the equator) winter was supposedly July/August, but it was never cool enough to really bake, so I understand. Muscovado sugar would work well, I believe. Let me know how it turns out. I just want to reach in and grab one – they look delish!! Thanks, Colleen. I appreciate the compliment! 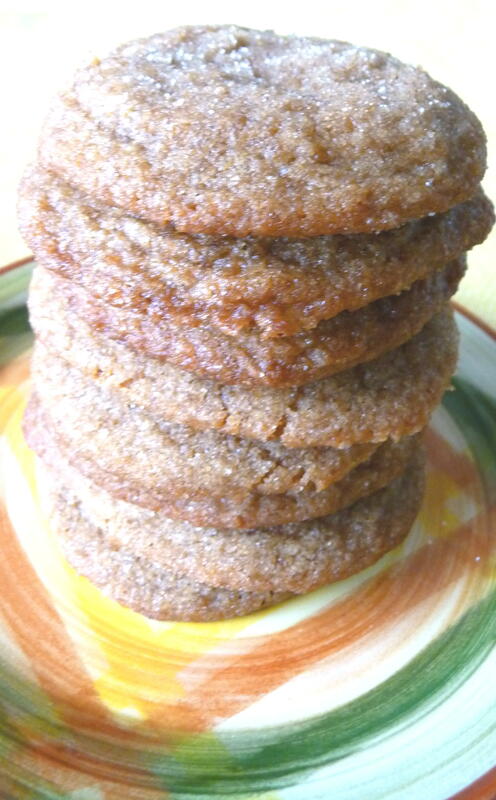 I came across your website in my search for a Chewy Brown Sugar cookie and boy am I glad I did! My last recipe, while brown buttery goodness, were crispy and not the texture I was trying to acheive. But after I found this recipe I couldn’t just stop there! I enjoyed reading all about your Grandma, looking at her pictures, and checking out her recipes. I’ve earmarked many of your recipes to try pronto!! These cookies came out beautifully!! I followed the recipe to a “T” and they did not disappoint!! Thanks so much for sharing! Hi, Jen. I appreciate your positive comments and taking the time to let me know how the cookies turned out. I do hope other recipes work for you and look forward to hearing more feedback from you in the futre. Awesome recipe! I added about half a cup of peanutbutter and they’re incredible! I have lost count of how many times I have tried to bake a chewy cookie recipe only to have them turn out chewy-less. I followed this recipe nearly to the T, however, I needed to substitute the egg yolk for a tablespoon of mayo, and OMG, they are amazing! In fact I had better stop eating them or there will be none left for when the kids get home from school. This is the first time ever I have ended up with chewy cookies. Many, many thanks. I have not tried them yet. Do you think they might work as roll-out cookies if I chilled the dough? It is possible, but I have never done such a thing….